Display stands at Josey Records in Farmers Branch. Photo by Erin Eubanks | Mercury Staff. With technological advances and growth of the millennial generation came a wave of nostalgia that channeled the days of John Hughes, Ferris Bueller and the Brat Pack. This nostalgia has brought back cassette tapes, typewriters and most recently, record players. In fact, because of this rise in popularity, Sony will once again mass produce vinyl records for the first time in nearly 30 years. As a vinyl collector that’s never shopped in Dallas, I took it upon myself to find the best record stores near UTD. Located just outside of Dallas, Josey Records is by far the best store on this list. It’s perfect for collectors and those new to vinyl. 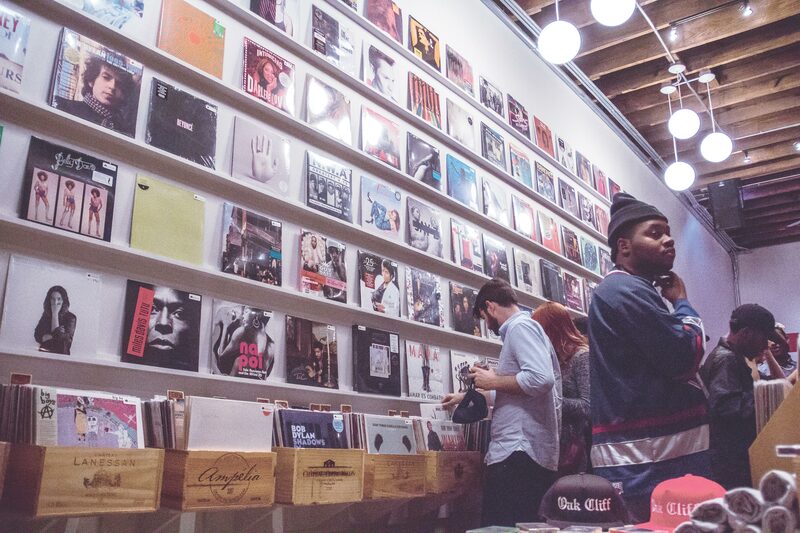 Its selection ranges from heavy metal to spoken word, and with over 100,000 records available at any given time, there’s something for everybody. The best part of the store is the $1 to $2 long-playing records, also known as albums, which are great for building a record collection. Josey also hosts live music sessions and sells Polaroid cameras as well as turntables. The store also offers movies and plans to sell books in the near future. With its seemingly endless record collection, Josey Records is a store you can get lost in, and three hours can feel like three minutes. A wall of records on display at Spinster Records in Oak Cliff. Photo courtesy of Priscilla Ruiz. Spinster Records is a hipster’s paradise. With an exposed brick wall reminiscent of a Manhattan loft, decorated with records and a host of albums by indie artists, it seems to be made with millennials in mind. Its genres range from ’80s synth pop to Portuguese slows. Spinster also has $1 vinyl records from local artists and turntables for sale. The only downside is that it’s located in Oak Cliff, which is about 10 minutes away from South Side Ballroom, a concert venue for indie musicians, so anytime an artist comes to town, expect their vinyl to be sold out. Good Records is great for those who like underground indie artists, preferably with less than 1,000 followers. The focus of Good’s is to provide a consumer base for local and national indie artists. About five of the albums in the store’s sizable selection are made by well-known artists such as Coldplay and Green Day. In addition to these records, they also offer box sets with records from artists such as David Bowie and Tom Petty. The quirky and unique albums they stock keep a steady flow of customers coming. A spread of recoards at Bill’s in Dallas. Photo courtesy of Bill Wisener. Bill’s Records is about 10 minutes away from Spinster in Oak Cliff, but the two stores couldn’t be more different. While Spinster is best for new and casual vinyl users, Bill’s is for experienced vinyl collectors. An endless amount of shelves filled with alphabetized records ranging from rock to polka greets customers as soon as they enter. The floor remains hidden under stacks of records. 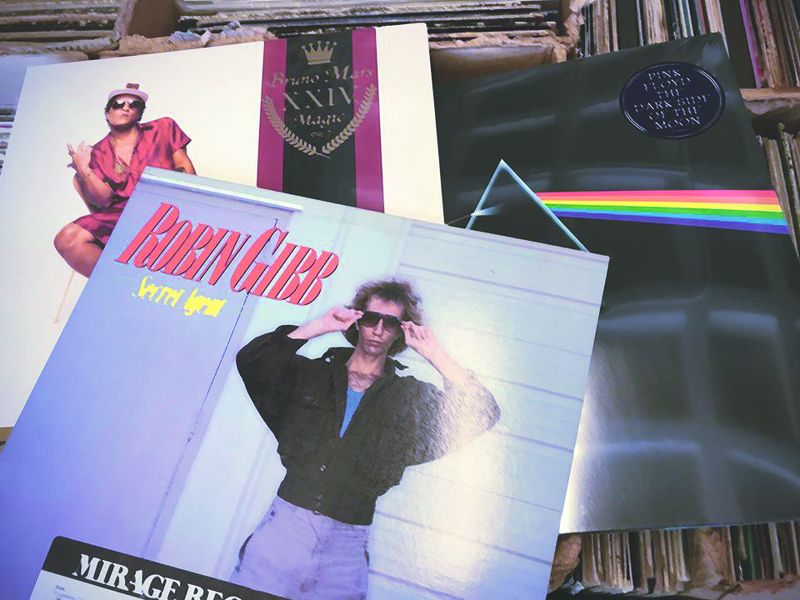 While this may seem intimidating, Bill’s Records is the best place to get a collector’s vinyl for a great price because of the owner’s pricing method, in which price is determined based on the quality of the record. The more damaged a vinyl is, the lower the price will be. The shop gave away The Go-Go’s debut album for free because it had two scratches, so the prices are extremely competitive. If you’re looking for that one record you haven’t found anywhere else, chances are it’s at Bill’s. This store is in Grand Prairie — which means the drive from campus will be twice as long compared to the other stores on this list — but it’s completely worth it for the over 250,000 LPs, cassette tapes and CDs. From the most obscure garage band that no one’s heard of to Beyonce and The Jackson Five, Forever Young Records has everything. The only downside is that its products tend to be overpriced compared to the other stores on this list, but for that variety, it’s worth it.